So far my little slow stitching English paper piecing project is going pretty well. I did quite a bit of glue basting in the car on the way to the airport and while waiting to take off. It took a bit to get into the rhythm of glue basting, but I think I have it down now. I started stitching on the plane. I got these done. Not sure how many more I will do this week, because there are kids to visit, babies to snuggle, and grand dogs to play with. But perhaps here and there…. Also, many of you said to use the extra goose for a label on my baby quilt. Great idea! I think I will! Thanks! I also had questions regarding the outlet stores mentioned yesterday. It is a small Michigan only chain called Merchandise Outlet. Their stores are all in small towns, Gaylord, Gladwin, Harrison, the biggest is Mount Pleasant. And now for some gratuitous baby pics. Big L.
Love my boys! Happy slow stitching. 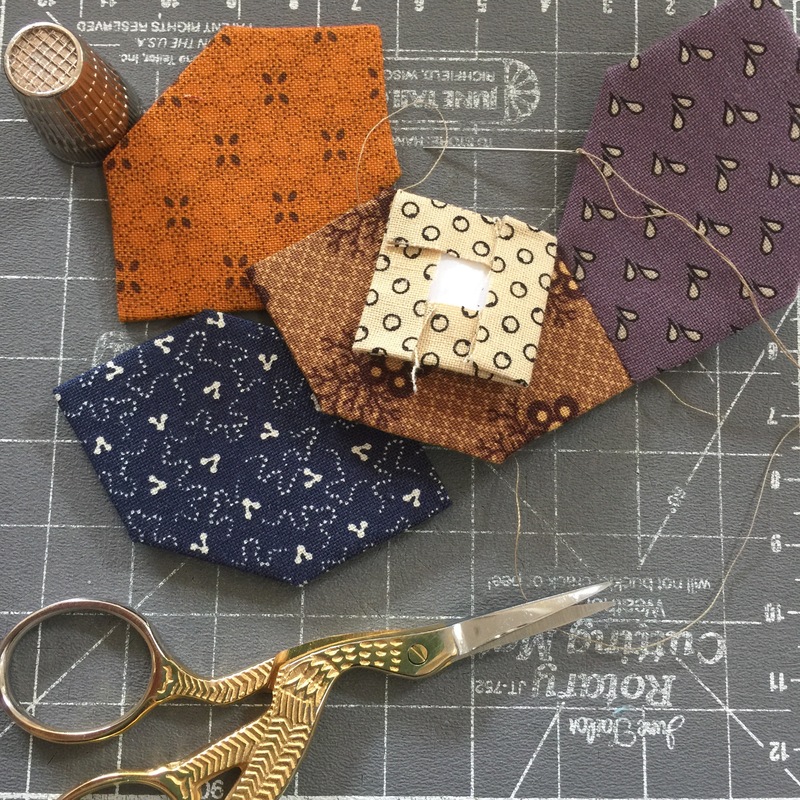 Love the fabrics you’ve chosen for your EPP project. And those little guys of yours are precious! Oh my goodness those pieces are tiny! The photo with the thimble really put it into perspective! Enjoy those adorable babies. Your stitching is just beautiful. 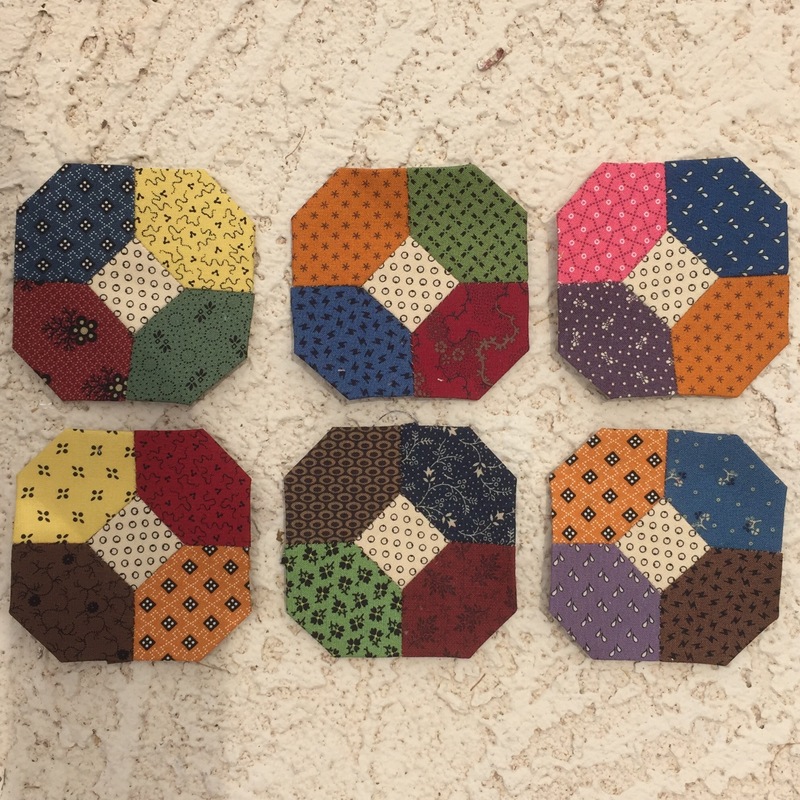 I almost — almost — picked up a bag of hexis at the quilt shop on our way to a conference. I was thinking about your hexis and how inspiring they were/are! 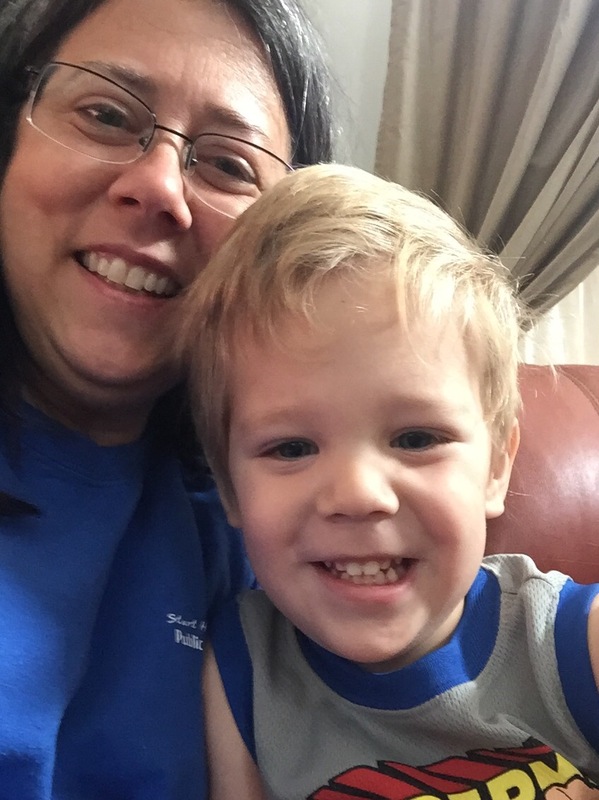 Enjoy that time with the grandkiddos. I’ll put the EPP back on the bucket list. My sister-in-law just gave me a bunch of projects to get done by early July. Yippee!! You have gotten a lot done already! I have some of those same fabrics in my stash!! Enjoy time with your family and safe travels on your trip home!! Your EPP project is looking good! That’s a nice shape, I really like it. Happy stitching! Cute babies!! 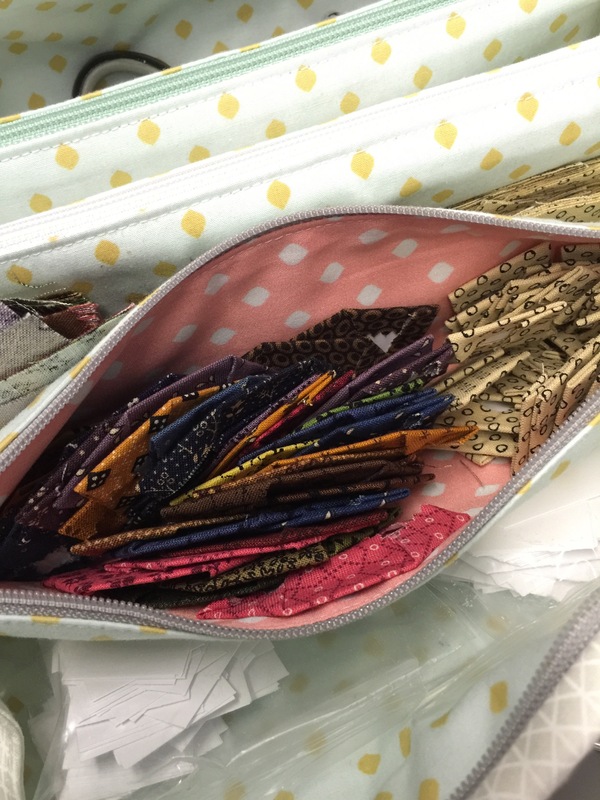 Love your EPP project and the pretty fabrics you are using. Can’t tell they’re brothers can you? 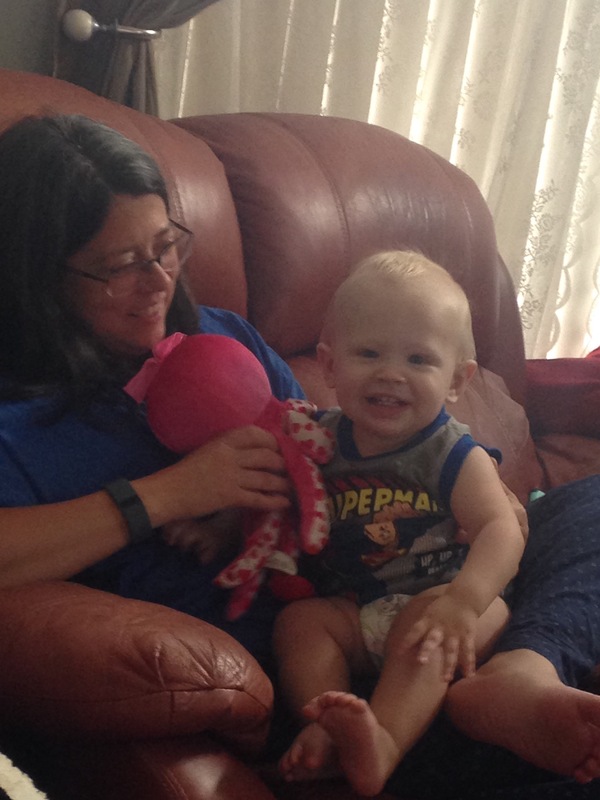 Oh lovely post Katy….I love to see these little boys with their grandma ! !